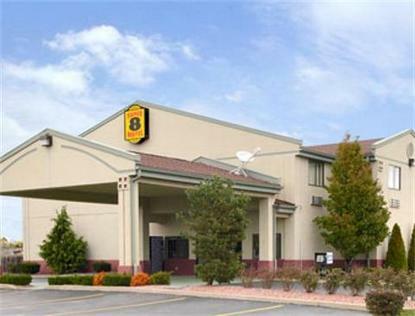 The Super 8 Motel of Bonne Terre, MO is located in a region of history, industry and outdoor recreational opportunities. The motel is 1/4 mile away from the Bonne Terre Mines Scuba Diving facility, 10 miles from St Joe's State park and 10 miles from St Francois County Speedway. Start your day with our SuperStart Breakfast, enjoy our Heated Indoor Pool and relax in our spacious room accommodations featuring Free High Speed Wireless Internet, Free HBO/ ESPN, and Free Local Calls. Among the choices available for our guests are Whirlpool suites, Business Class suites and there are microwaves and refrigerators in some rooms. The motel offers a meeting room, copy/fax service, interior corridors and a guest laundry. The Super 8 motel provides parking space for RV's, trucks and Busses.